Fernie is a city in the Elk Valley area of the East Kootenay region of southeastern British Columbia, Canada, located on BC Highway 3 on the eastern approaches to the Crowsnest Pass through the Rocky Mountains. For other places to visit, where to stay, photos, and more tourist information, read Fernie travel planner. Regina to Fernie is an approximately 6-hour combination of flight and shuttle. You can also drive; or do a combination of bus and shuttle. The time zone difference moving from Central Standard Time (CST) to Mountain Standard Time (MST) is minus 1 hour. Traveling from Regina in August, expect little chillier with lows of 9°C in Fernie. You will leave for Castlegar on the 22nd (Tue). Castlegar is the second largest community in the West Kootenay region of British Columbia, Canada.Castlegar is located within the Selkirk Mountains at the confluence of the Kootenay and Columbia Rivers. Your day-by-day itinerary now includes Christina Lake, Zipline and Syringa Provincial Park. Start off your visit on the 22nd (Tue): whizz through the canopy at some of the top local zipline courses and adventure parks, then get to know the fascinating history of Baker Street, and then tour the pleasant surroundings at Syringa Provincial Park. To see photos, maps, and tourist information, go to the Castlegar trip itinerary planner. Getting from Fernie to Castlegar by car takes about 4 hours. The time zone difference moving from Mountain Standard Time (MST) to Pacific Standard Time (PST) is minus 1 hour. Traveling from Fernie in August, expect somewhat warmer with lows of 15°C in Castlegar. 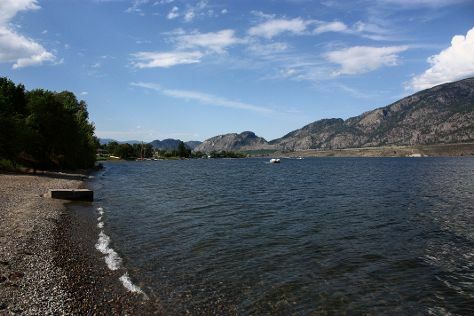 Wrap up your sightseeing by early afternoon on the 23rd (Wed) to allow enough time to travel to Osoyoos. Your day-by-day itinerary now includes Haynes Point Provincial Park, Rustico Farm & Cellars, Spotted Lake, and other attractions you added. On the 23rd (Wed), get great views at Anarchist Mountain Lookout, then tour the pleasant surroundings at Haynes Point Provincial Park, then explore the activities along Spotted Lake, and finally do a tasting at Black Hills Estate Winery. To see photos, other places to visit, where to stay, and tourist information, you can read our Osoyoos travel itinerary creator. Traveling by car from Castlegar to Osoyoos takes 3 hours. Expect a daytime high around 36°C in August, and nighttime lows around 17°C. Wrap up your sightseeing by early afternoon on the 24th (Thu) to allow enough time to travel to Mission. To see more things to do, traveler tips, where to stay, and tourist information, read our Mission itinerary maker. You can drive from Osoyoos to Mission in 4 hours. While traveling from Osoyoos, expect a bit cooler days and about the same nights in Mission, ranging from highs of 30°C to lows of 16°C. Cap off your sightseeing on the 25th (Fri) early enough to travel to Vancouver. On the 25th (Fri), wander the streets of Granville Island. For traveler tips, more things to do, maps, and tourist information, go to the Vancouver trip planner. Traveling by car from Mission to Vancouver takes 1.5 hours. In August, plan for daily highs up to 28°C, and evening lows to 17°C. You'll have a few hours on the 27th (Sun) to wrap things up before traveling to Nanaimo. Kick off your visit on the 27th (Sun): whizz through the canopy at some of the top local zipline courses and adventure parks and then look for all kinds of wild species at Newcastle Island. To find where to stay, other places to visit, more things to do, and more tourist information, read our Nanaimo itinerary builder. 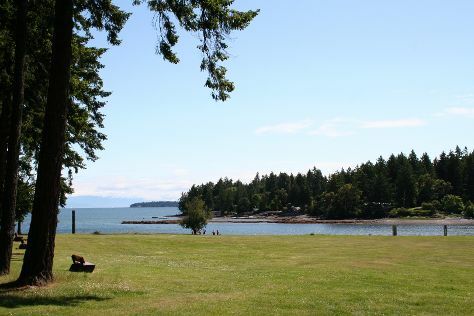 Nanaimo is just a stone's throw from Vancouver. Traveling from Vancouver in August, expect nights in Nanaimo to be about the same, around 19°C, while days are little chillier, around 24°C. Cap off your sightseeing on the 27th (Sun) early enough to go by car to Campbell River. To see more things to do, other places to visit, reviews, and more tourist information, read our Campbell River travel planner. Traveling by car from Nanaimo to Campbell River takes 2 hours. Alternatively, you can take a bus. Plan for slightly colder nights when traveling from Nanaimo in August since evenings lows in Campbell River dip to 15°C. On the 28th (Mon), you'll travel to Prince Rupert. Prince Rupert is a port city in the province of British Columbia, Canada. For other places to visit, photos, more things to do, and tourist information, you can read our Prince Rupert trip itinerary maker. Getting from Campbell River to Prince Rupert by combination of flight and train takes about 8 hours. Other options: do a combination of car and ferry. While traveling from Campbell River, expect slightly colder days and about the same nights in Prince Rupert, ranging from highs of 19°C to lows of 13°C. Wrap up your sightseeing by early afternoon on the 29th (Tue) to allow enough time to travel back home.